States Times Review spreading lies? The States Times Review is at it again. Thankfully, Brown has been alerted and we believe he has since removed the post above. He also made a clarification post here and his comments on this post is worth reading. At least one more person knows now than to read and believe everything from that “online news site”. Minister Shanmugam didn’t say that. Because I was there, along with a few other friends. None of us recall Minister Shanmugam saying anything about Eurasians being classified as Indians. Instead, it was Mr Bennett Theseira, President of the Eurasian Association, who said that he was disappointed that Eurasians would be considered part of the “Indians and other minorities” community in relation to the elected presidency. 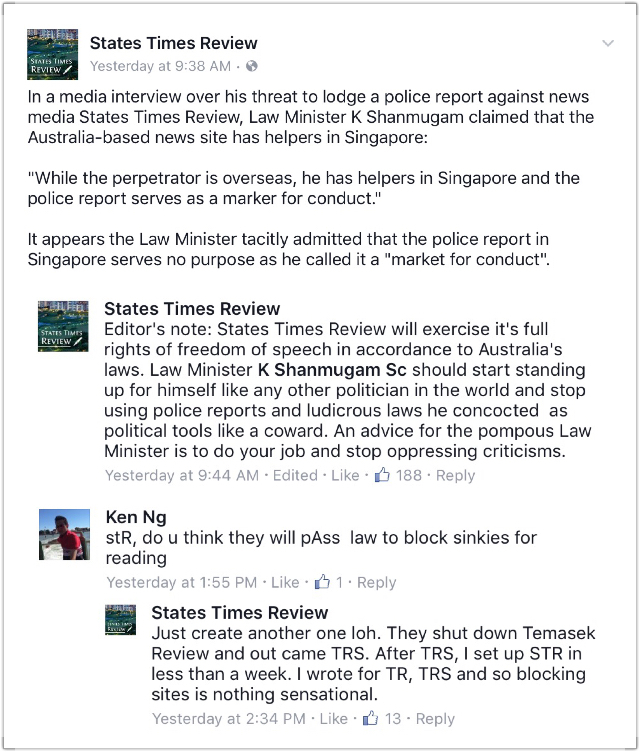 The government has also responded with the following remark on States Times Review’s Facebook page. And guess what founder/editor behind the States Times Review Alex Tan did? He conveniently deleted the comment by Gov.sg. Whatever happened to freedom of speech huh? He wasn’t even at the forum. The Australian PR is currently Down Under. Also, guess what, again? Again? Notice how the headline of the same article has been changed? 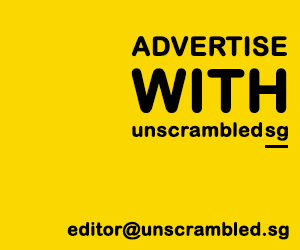 Now it’s simply the Presidency candidacy law and not Minister Shanmugam. But the comment suggesting that Minister Shanmugam should be arrested for sedition is still there. Previous PostStarhub outages = time to make use of small spaces?